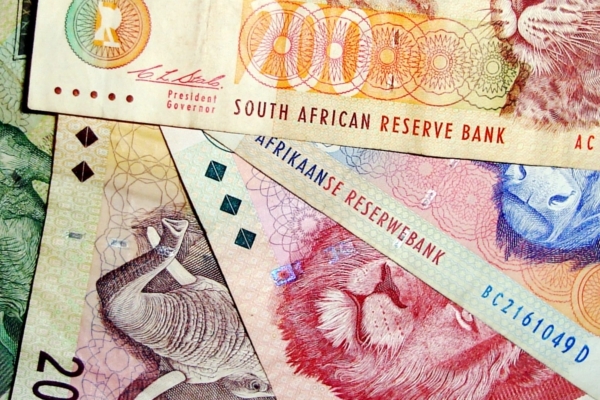 The South African Rand in 2014, has experienced its worst year against the US dollar since the peak of the global economic crisis of 2008 and 2009. The local currency came under pressure early on in the year sinking to a 5-year low against the greenback, at R11.25 to the dollar, in late January. Analysts attributed the slide to word from the US Federal Reserve that it would trim back stimulus spending, which led to a massive sell-off in emerging economies. 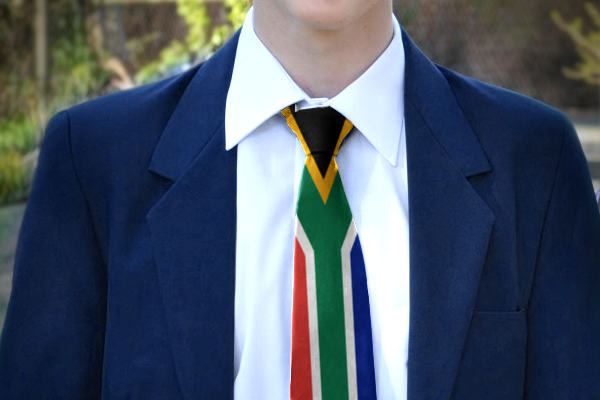 The impact was felt heavily in South Africa, deemed one of the “Fragile Five” emerging economies struggling under a large current account deficit. The rand’s position improved gradually, dipping below R10.50 against the buck in May, but then lost ground again during a period of prolonged strikes, slow economic growth and an ever-increasing account deficit. In October, the minister of finance downgraded South Africa’s growth forecast for 2014 to 1.4% – the lowest level since the 2009 recession. Topping off a dismal year for the currency, nation-wide load-shedding in November and December pushed the currency to levels last recorded on 23 October 2008, according to XE.com. Economists Dawie Roodt and Mike Schüssler predicted that the rand would close in 2014 at around the R11.50 level – and their predictions may end up to be nearly spot on as we count down to the end of the year. 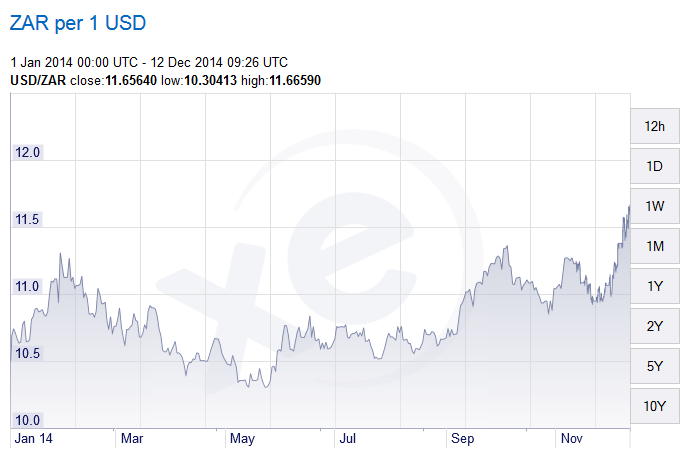 The rand traded at R11.60 against the dollar late on Wednesday, 17 December. * Prices taken from xe.com (accessed 12 December 2012) and represent the rand value at close of markets (PST). Where to for punch-drunk rand in 2014?